Star Wars Episode III: Revenge of the Sith was arguably the best of the three prequels. I say that primarily because it’s the darkest of the three films, and includes the final transformation of Anakin into Darth Vader. 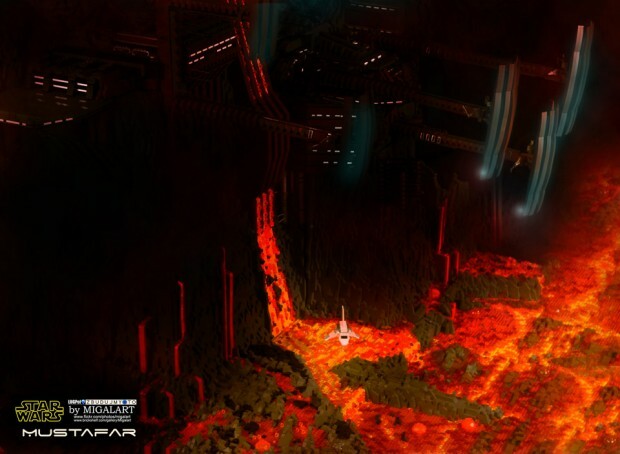 One of the best scenes in the film is the epic battle between Obi Wan and Anakin on the surface of the fiery planet of Mustafar. 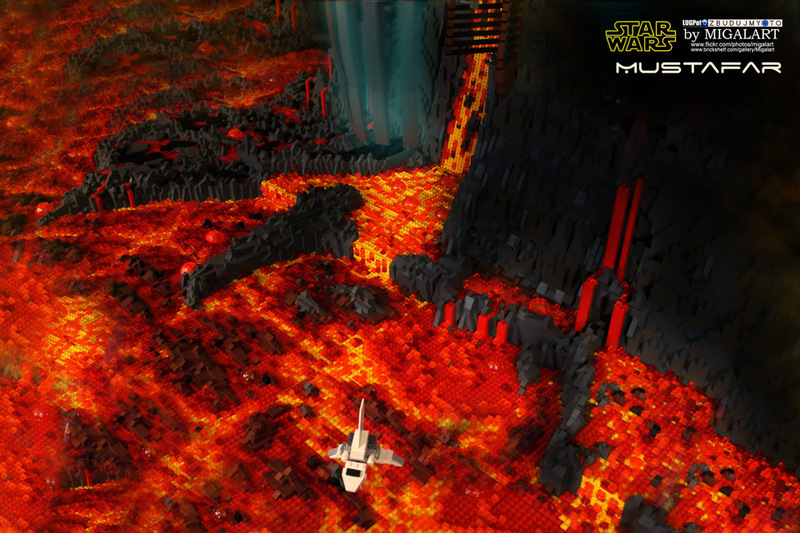 The explosive, volcanic planet is one of the most epic set pieces in the entire Star Wars universe, but that also makes it very difficult to pull off in LEGO form. 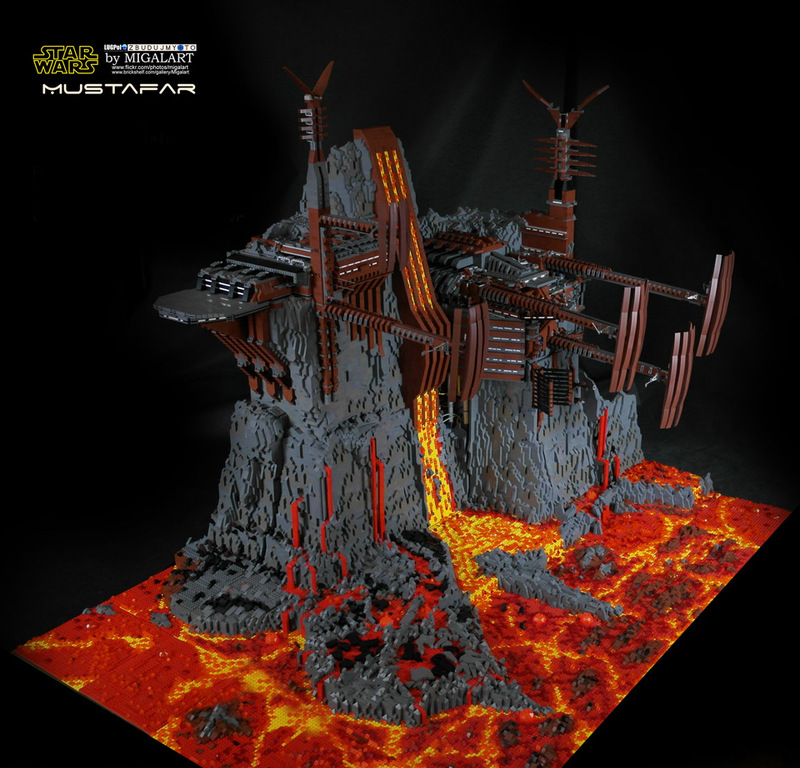 But that didn’t stop one talented and obsessive LEGO and Star Wars fan from building it anyhow. 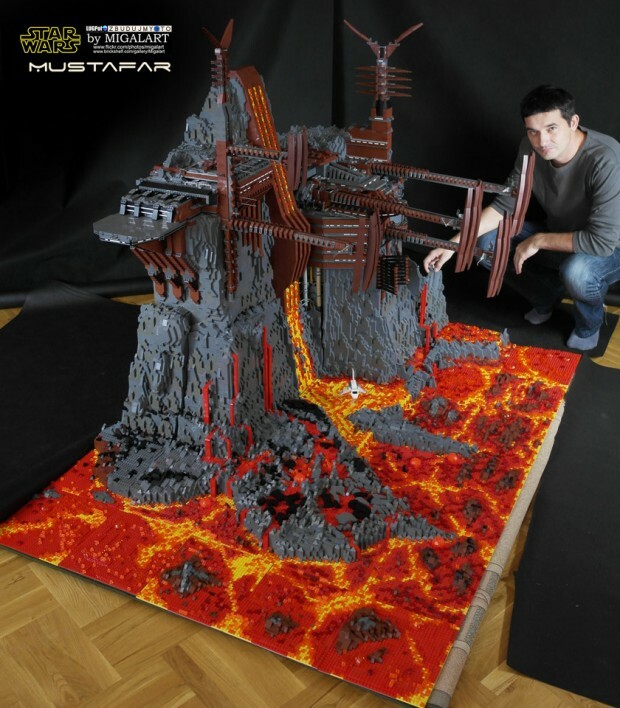 This amazing LEGO diorama was built by MigalArt using about 60,000 bricks, and it looks spectacular. All told, the set measures about 50″ x 70″ and stands about 5-feet-tall. The way he used the red, yellow and orange bricks to give the sense of lava flows is simply awesome. 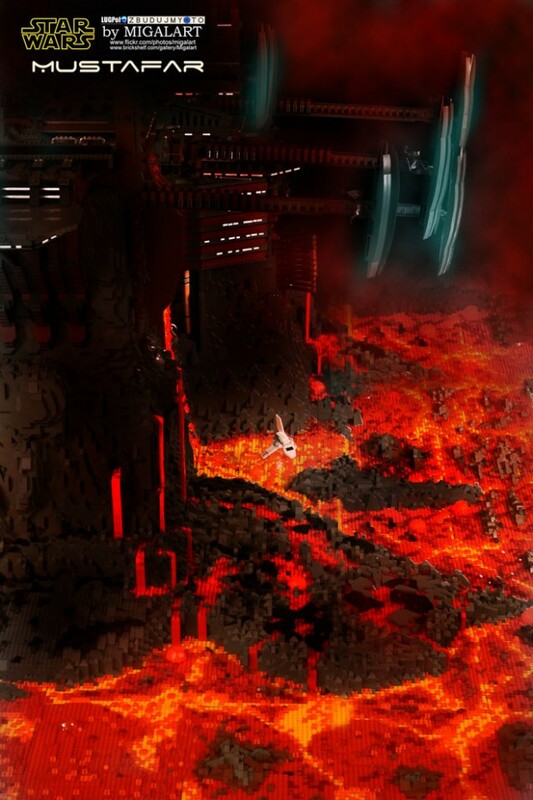 You can almost see Anakin’s dismantled body crawling out of the flaming lava onto the rocks. 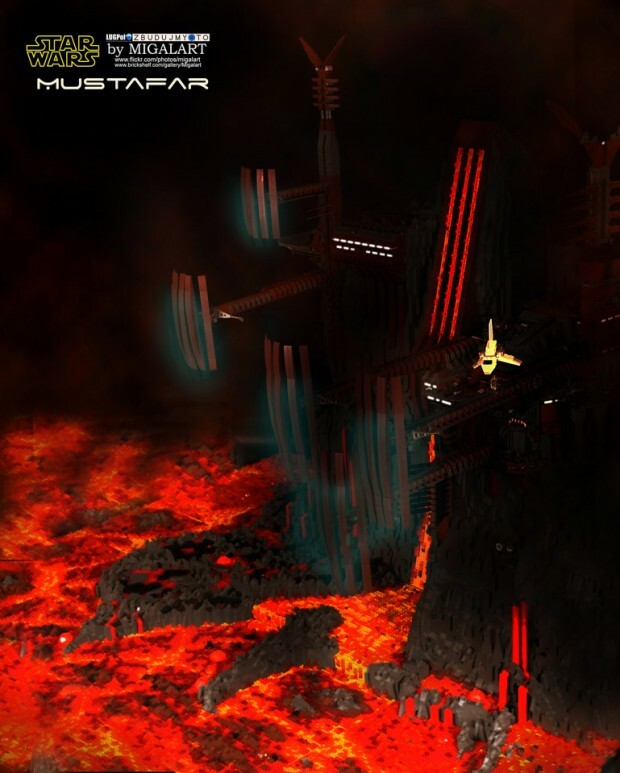 While he did use Photoshop to add some glow and smoke effects to some of the images, you can see from the image where he’s standing next to the model that it’s still spectacular in real life. I’m guessing this set will never be offered by LEGO as a kit, but you can always head over to MigalArt’s Flickr page to appreciate the build in all of its glory.